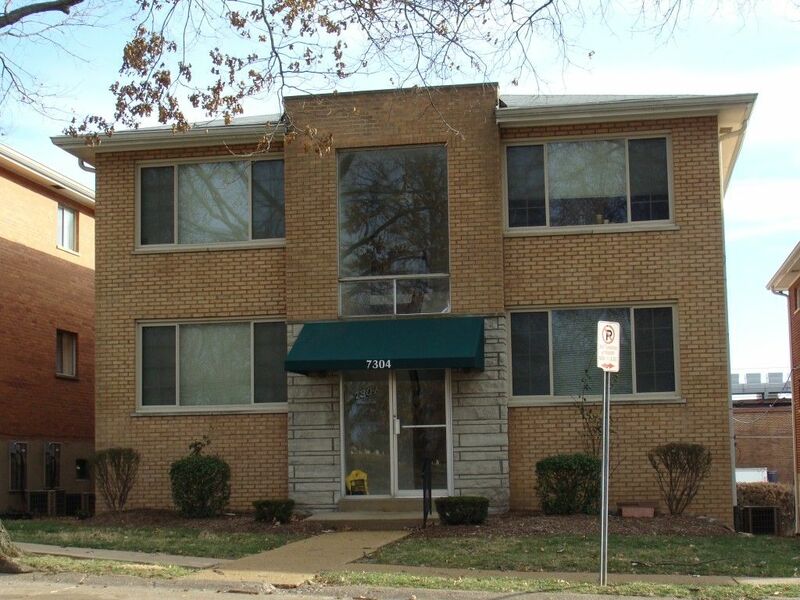 I know sometimes four-family flats in St. Louis have bad reputations, but the form of architecture was built in St. Louis well into the 1950’s and 60’s. 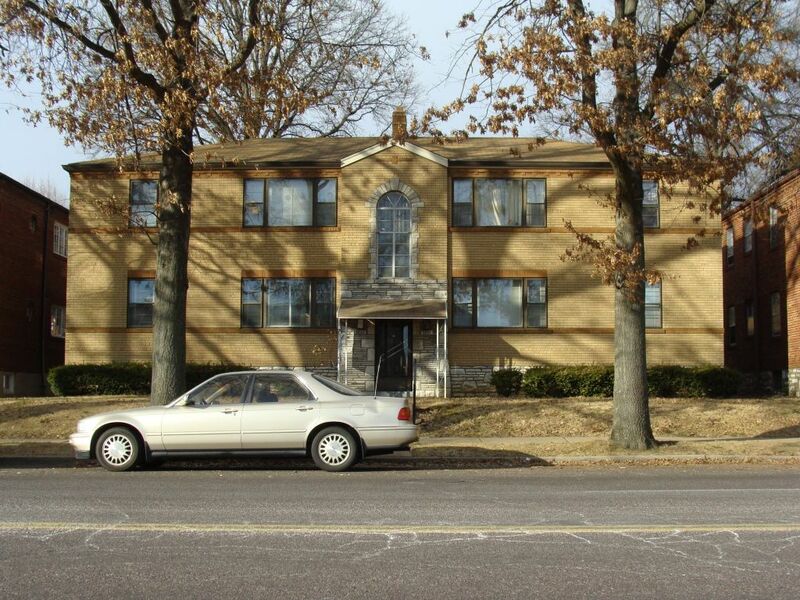 Particularly in the Holly Hills and St. Louis Hills neighborhoods, there is a plethora of interesting and unique (or sometimes ubiquitous) examples of this St. Louis staple. 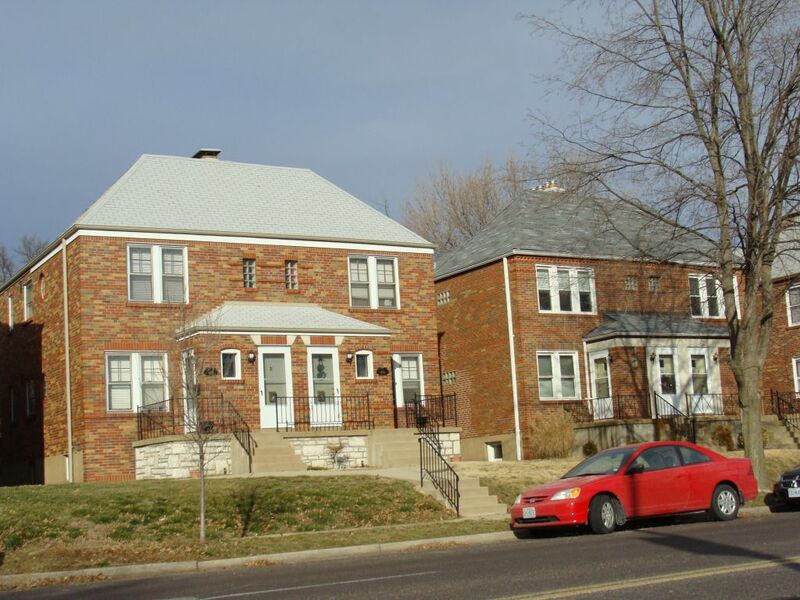 Red brick becomes less common down this way, and it transforms into buff and and other pale pinks. 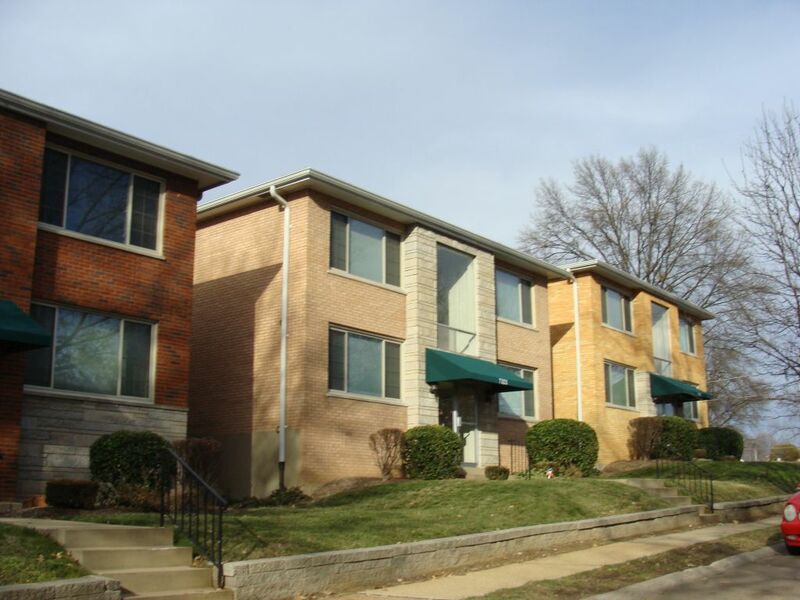 Tucked into a little enclave of four families near the cemeteries on Gravois just northeast of the River des Peres, these apartments provide a well-maintained and cozy neighborhood near the bustle of major thoroughfares.